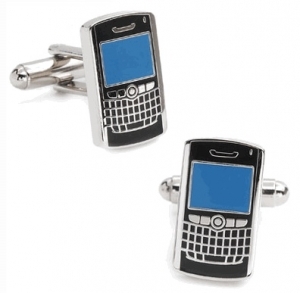 BlackBerry and iPhone Cufflinks | BlackBerry Blast! 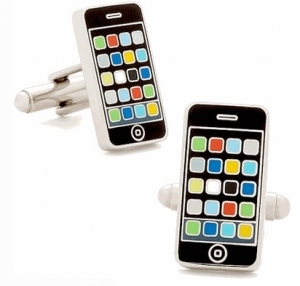 These cufflinks are made especially for the mobile smartphone user. One look at these and people will know you're a BlackBerry or iPhone Junkie. The cufflinks are nickel or silver plated and go for $50. That's a little pricey, but if you want to stand out in a suit or tuxedo, these are available. Head on over to get your cufflinks by clicking on the Full Story link below. If you buy two pairs of cufflinks you'll get free shipping.